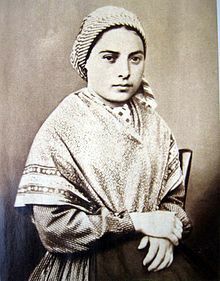 St Bernadette (1844-1879) was born the eldest of nine children into a poor family at Lourdes, France. On 11th February 1858, when she was 14, she had her first vision of the Blessed Virgin Mary. At first, Bernadette and her friends kept the visions secret but news soon spread and a further seventeen were recorded. The events attracted the attention of people from afar, as well as government officials. All efforts to prevent or cast doubt on them failed. Indeed, because the apparitions were so well scrutinised and documented both then and now, the volume of concrete evidence gathered by experts from all fields made them more irrefutable. St Bernadette joined the Sisters of Charity in Nevers where she performed routine convent and church duties as well as the daily religious devotion with her congregation. From youth, she suffered severe asthma and in later life, she contracted tuberculosis of the bone. She died at the young age of 35. Her body was exhumed many years later and found not to have decomposed. 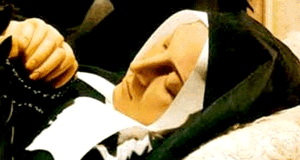 It was placed in a new casket and is today displayed in the Chapel of St Bernadette, Nevers. 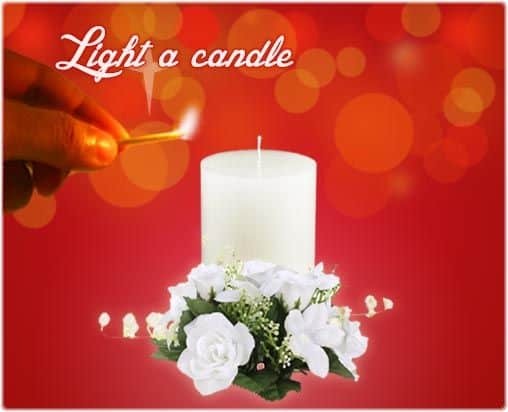 Millions of people, from all religions, visit Lourdes every year and numerous miracles have been reported. The miracles are often associated with a spring from which water first flowed when the Blessed Virgin Mary asked Bernadette to scrape away dirt from the nearby ground.